After yesterday’s brief dissertation on nam prik pao, it occurred to me that one thing I had not really demonstrated about this Thai seasoning paste is its ability to make something very good very fast. Today I was not hungry for lunch but did want something healthy in a hurry to tide me over. 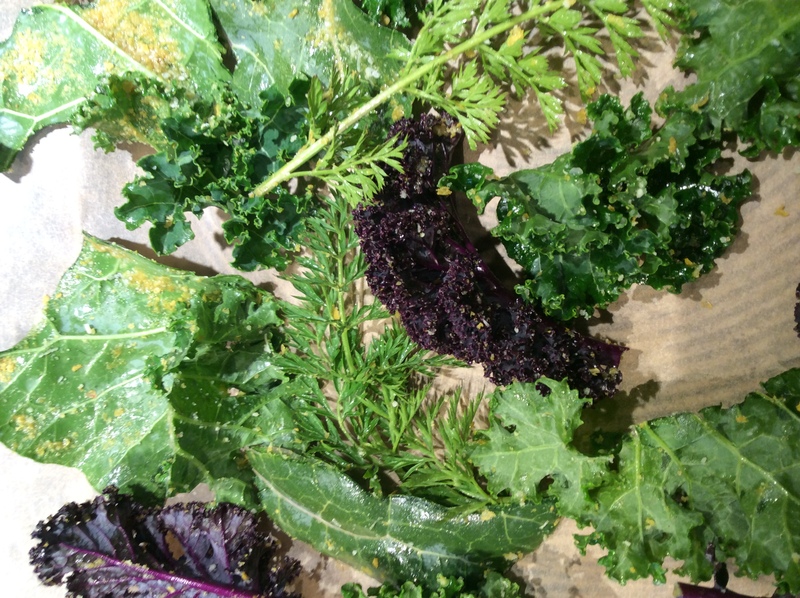 I decided on a quick very small bowl of greens. 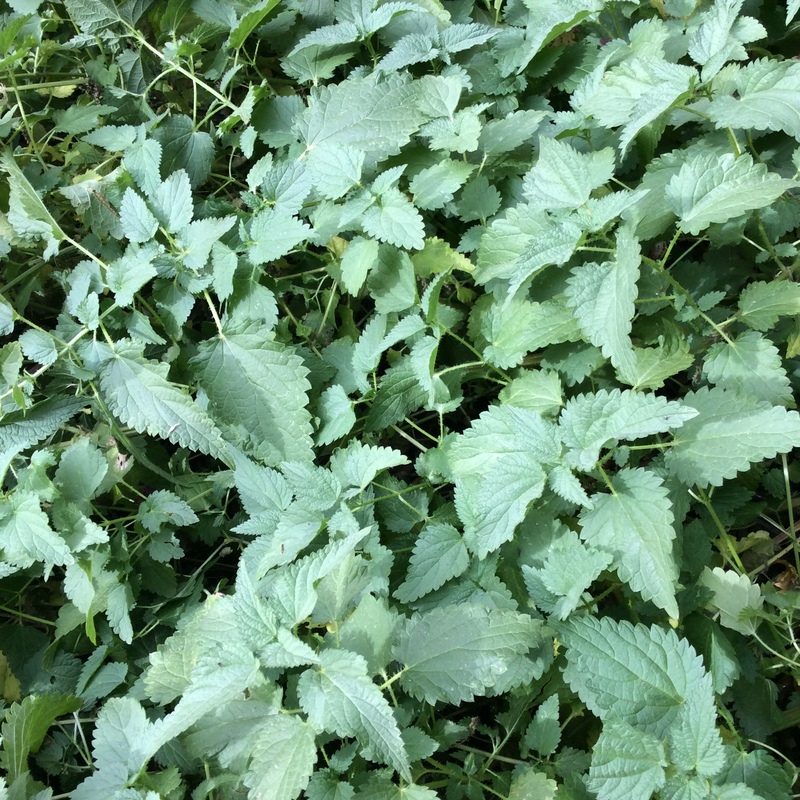 I used mulberry shoots, but any rather sturdy green would do. 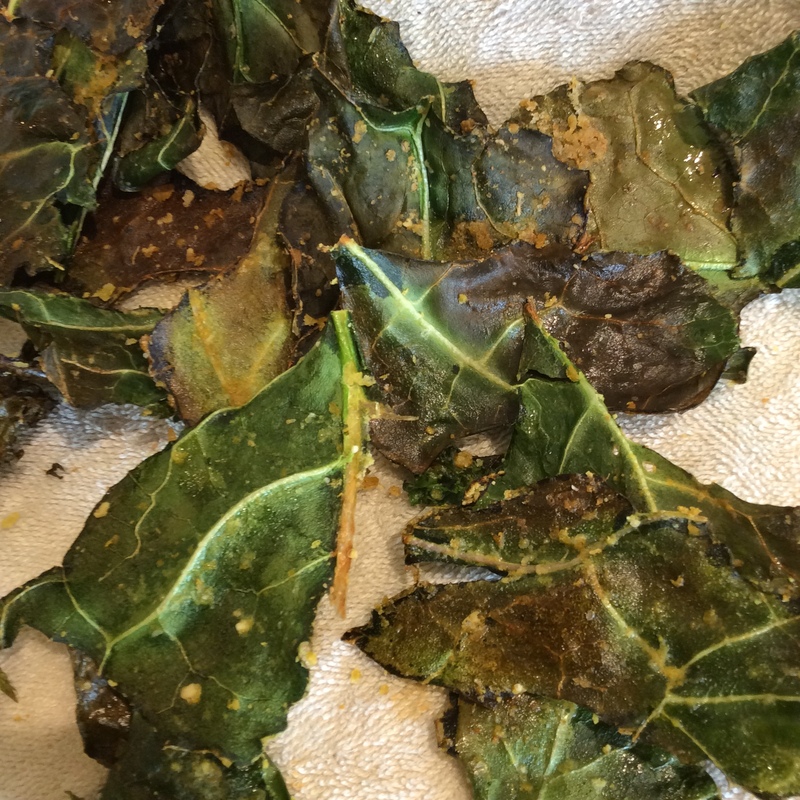 If you use something substantial like collards or kale, one collard leaf or two kale leaves would work for a passing snack. For smaller leaves, a generous handful is the right spirit. All you need is your leaves, fish sauce, a little coconut oil or other cooking fat, and nam prik pao. Wash and chop the leaves or, if they are large and substantial, chiffonade them. Heat your smallest skillet, put in the coconut fat and heat it briefly, and put in a heaping teaspoon of nam prik pao. Stir it around for about 30 seconds to distribute it through the fat, throw in your greens over medium heat, and stir around for a couple of minutes, drizzling with a little bit of fish sauce but not too much because the small quantity of greens can get too salty in a hurry. 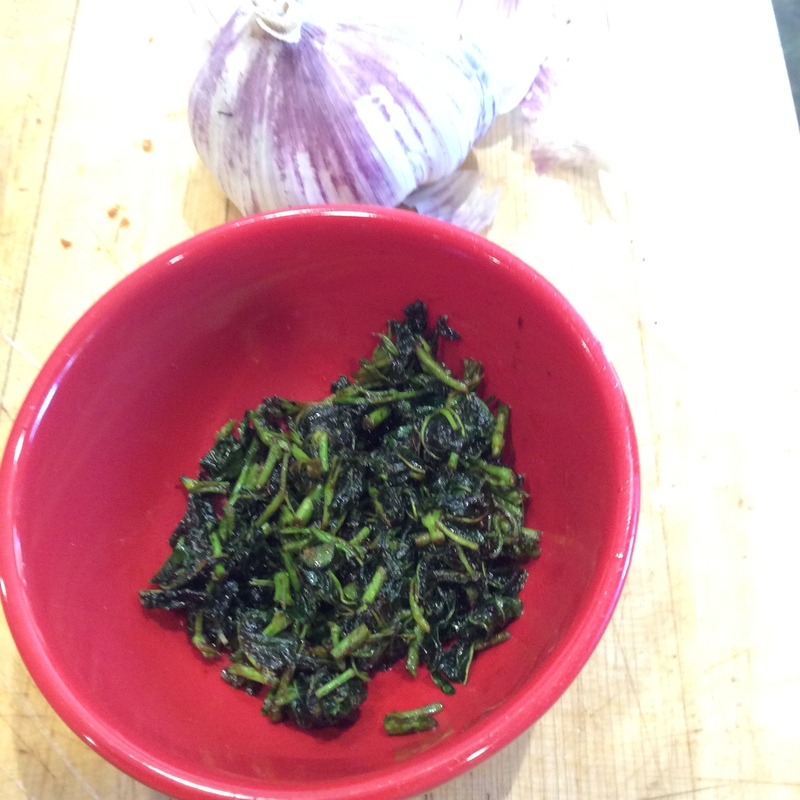 When the greens are done to the degree of tenderness that you like, put them in a little bowl and eat them. Simple as that. 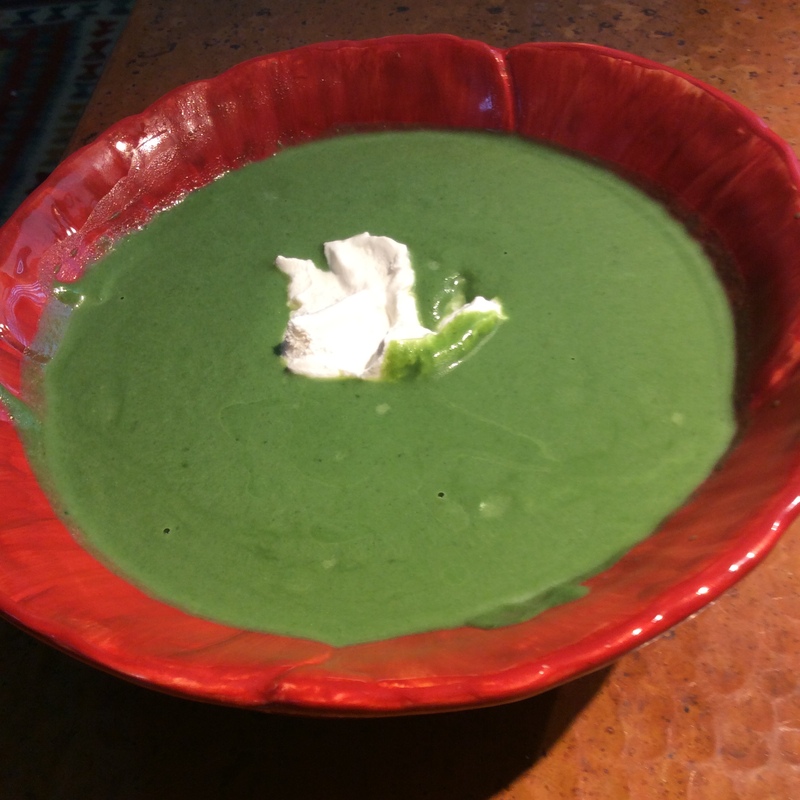 You will feel a pleasant glow of virtue because of the soluble fiber and antioxidants that you have taken in, and it will taste good and take less than five minutes. The leaves are whatever struck your eye on the way from the garden to the kitchen and took approximately a minute to gather. No fuss no bother. You can chop some herbs on top if you want to and that will be delicious, but it will still taste awfully good without them. You could use the same principle to make a side dish for dinner, or for that matter a main dish, and a few different Southeast Asian vegetable dishes with a cushioning bowl of rice if you can eat it make a wonderful dinner full of interesting flavors. If you are a low-carb person, you can use cauliflower rice instead of real rice, or have both available for the various kinds of eaters at your table. But the recipe as written is for your own private pleasure. 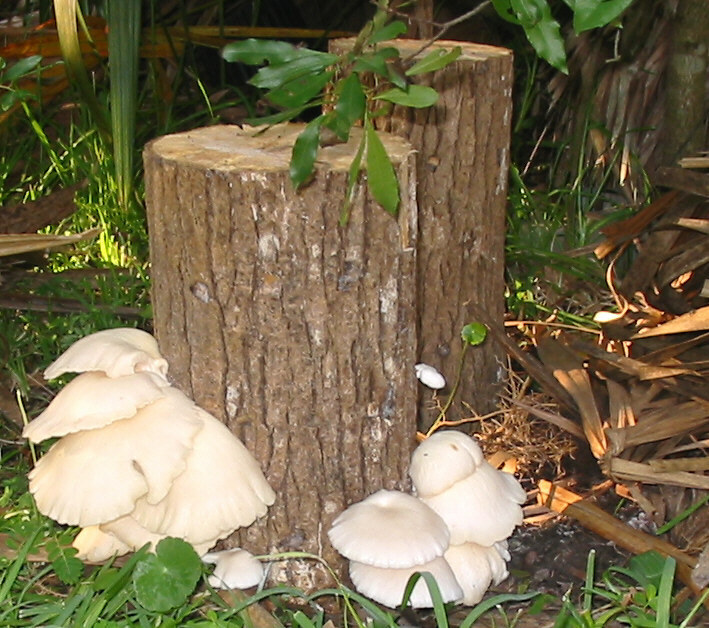 They die back unattractively after flowering, but then sprout again from the ground up. The foliage is silvery, full, and stunning in November. Unfortunately this is also the time when they’re best for eating, so mine aren’t exactly ornamental right now. Before eating, blanch the stalks for a couple of weeks. I covered mine with some landscape cloth I had around, which is black and fuzzy and nearly lightproof while letting air and water through. 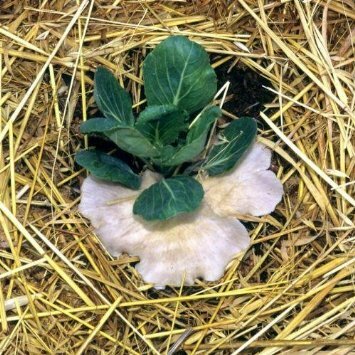 You could also wrap your bundled plant in a couple of layers of corrugated cardboard, tieing it on carefully to exclude light from the stalks. 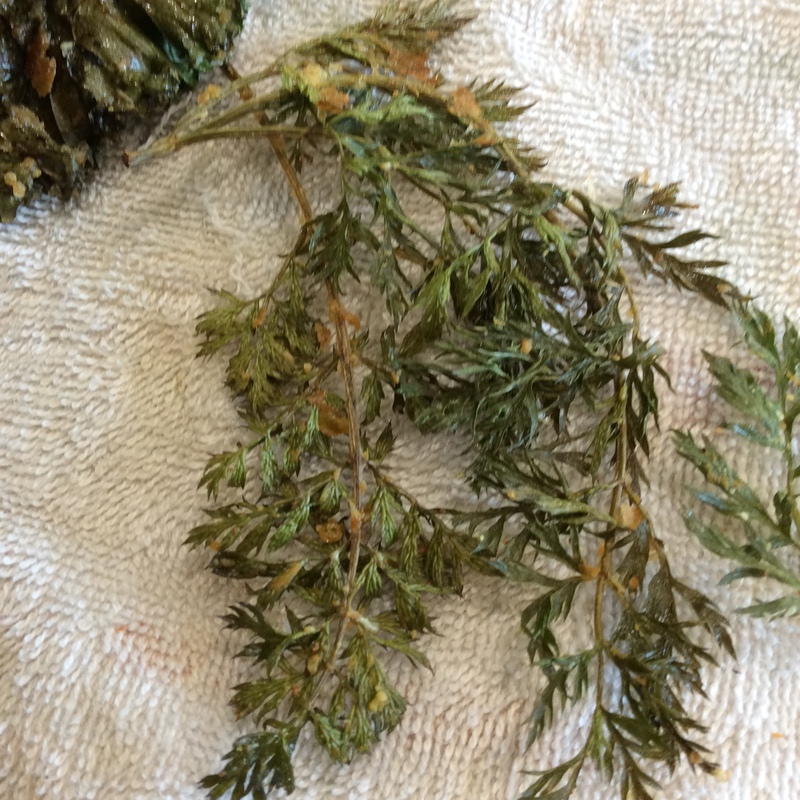 When blanched, use a sharp knife to cut the whole center out of the plant. 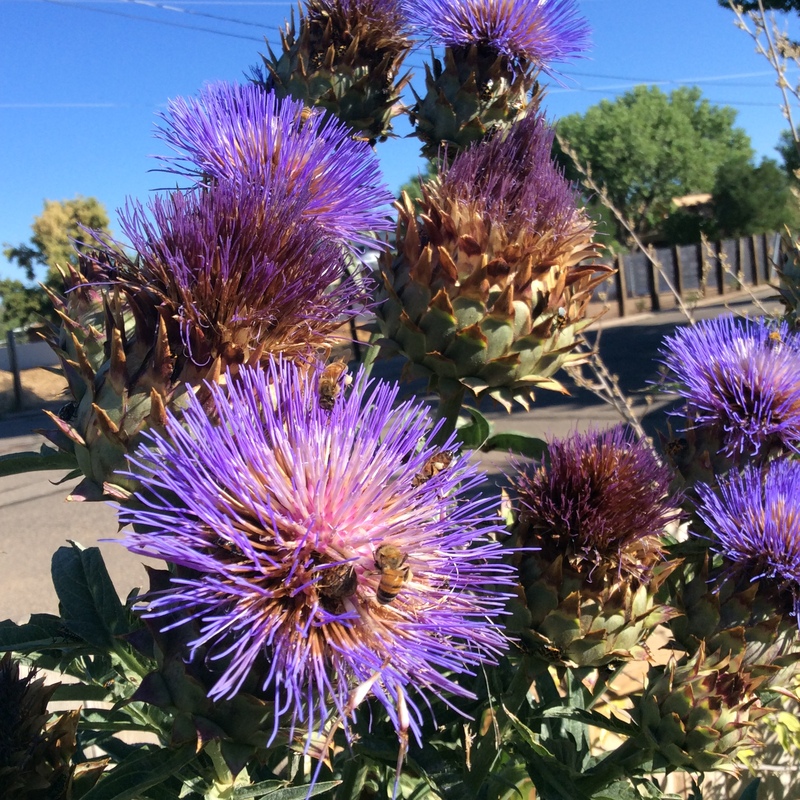 Wear gloves, because cardoons are thistles and have nasty bristles down the edges of the leaf stalks and at the leaf margins. 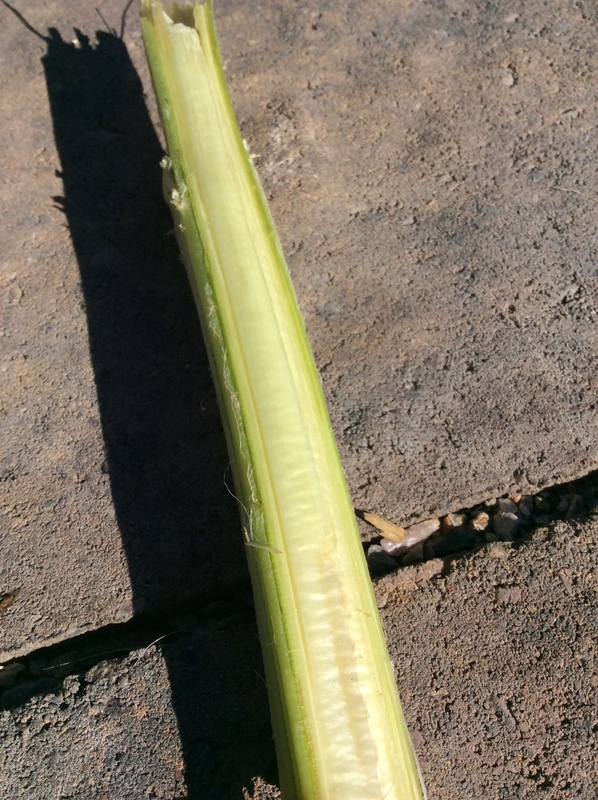 Cut off the leaves, leaving a bundle of stalks, and pull off any outer stalks that look ragged. My goat adores the leaves and trimmings, and since the leaves are intensely bitter, this is the best use for them. 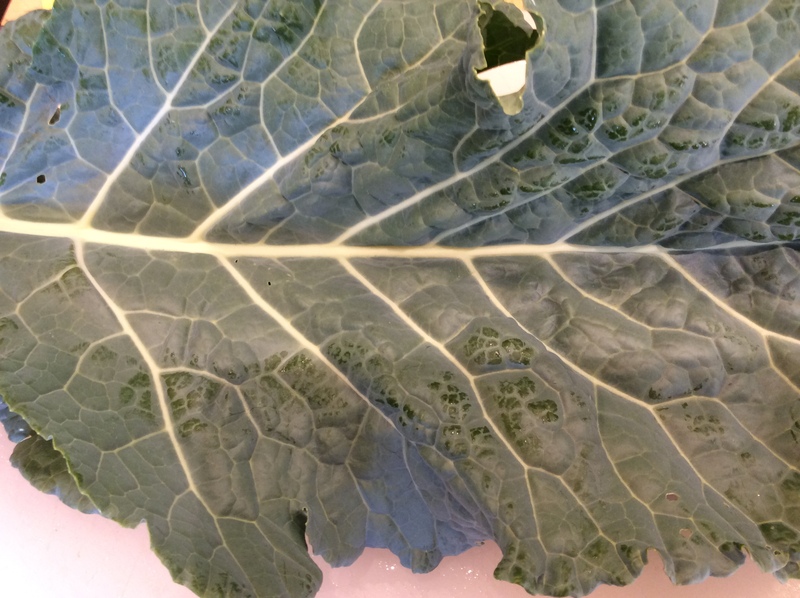 Separate the leaf stalks, wash well, and use a vegetable peeler to skim off the outer margin on each edge, where the bristles are. Now use the peeler to skin off the tough stringy part on the convex outer surface of each stem. When you are done, they will look like the peeled stalk on the right above. The innermost stalks are tender and fairly stringless and just need the base trimmed and the row of bristles on each edge skinned off. 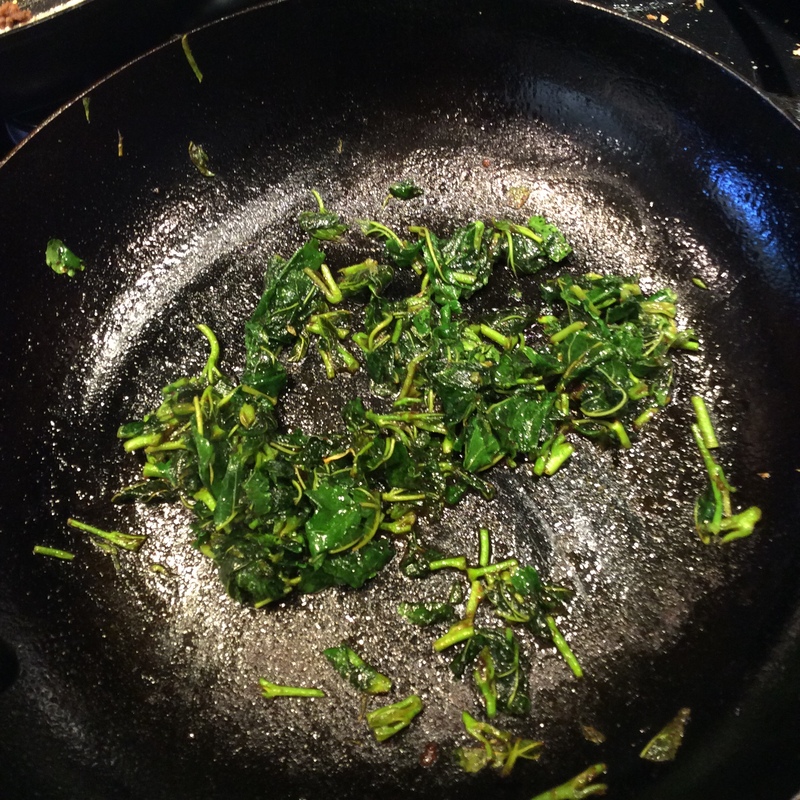 Be sure you pull off the leaves from the center stalks, because even though they are very blanched and not bitter, they are tough even after cooking. Cut off the stalks at the point that they start to look corrugated and use everything below that. 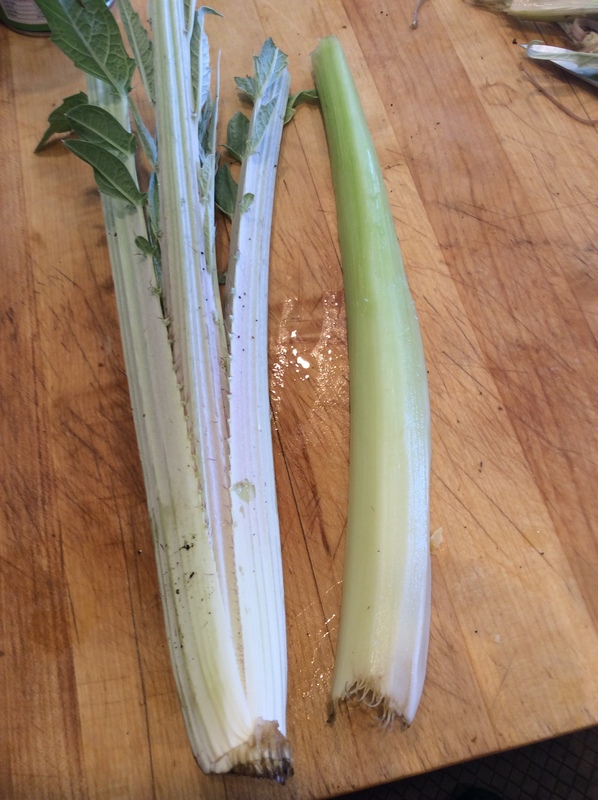 Cut the stalks in half-inch cross sections and blanch in boiling salted water for about two minutes, then drain well and either continue cooking as you desire or refrigerate them for later. They have a flavor rather similar to artichokes, so I gave them a bagna cauda treatment by sautéing them for about five minutes in plenty of good olive oil with a chopped clove of garlic and half a mashed anchovy fillet and a final garnish of roasted pine nuts. Their own flavor is subtle, so don’t get too heavy handed with the seasonings. I think they are awfully tasty. 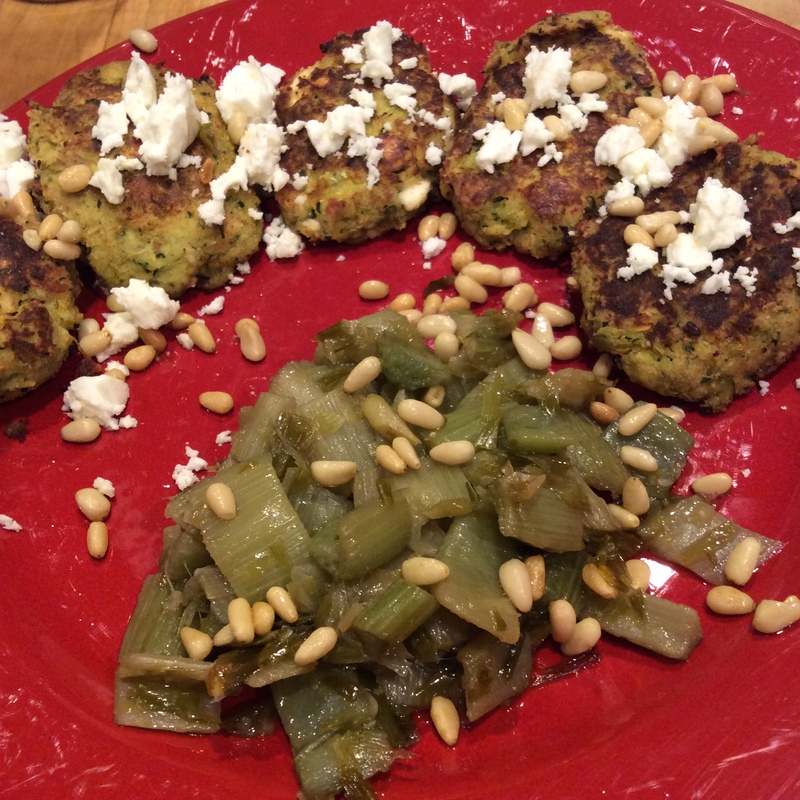 The bad news is that one large plant, with a fair amount of preparation, makes two generous servings. But given that they are drought tolerant, attractive, and truly carefree perennials, I don’t mind putting in some effort in the kitchen. As for the low yield aspect, I will just work on growing more of them. Incidentally, before they flowered last summer, I picked a flower stalk when it had lengthened to about 3 feet but before the buds started to swell. 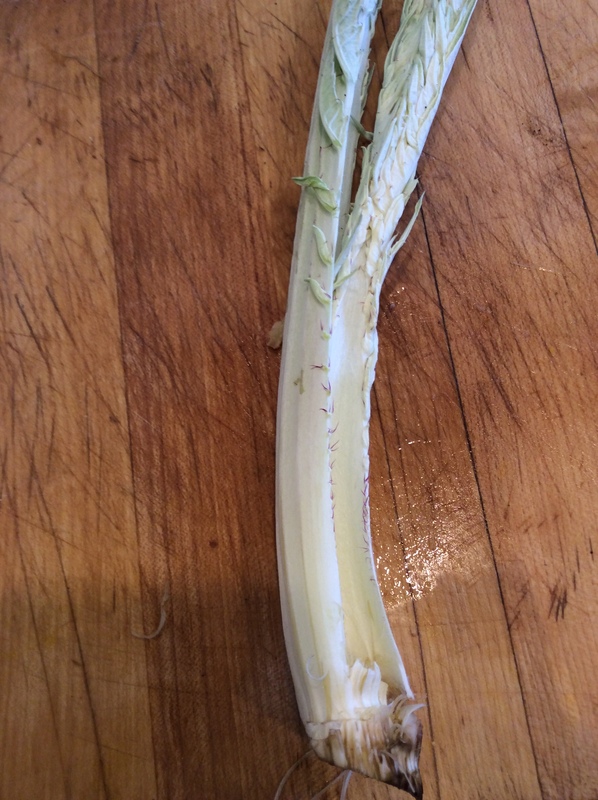 I peeled the thick tough skin off the stalk, cut it in sections about an inch long, and sautéed it in olive oil with some salt until cooked through and fairly tender. 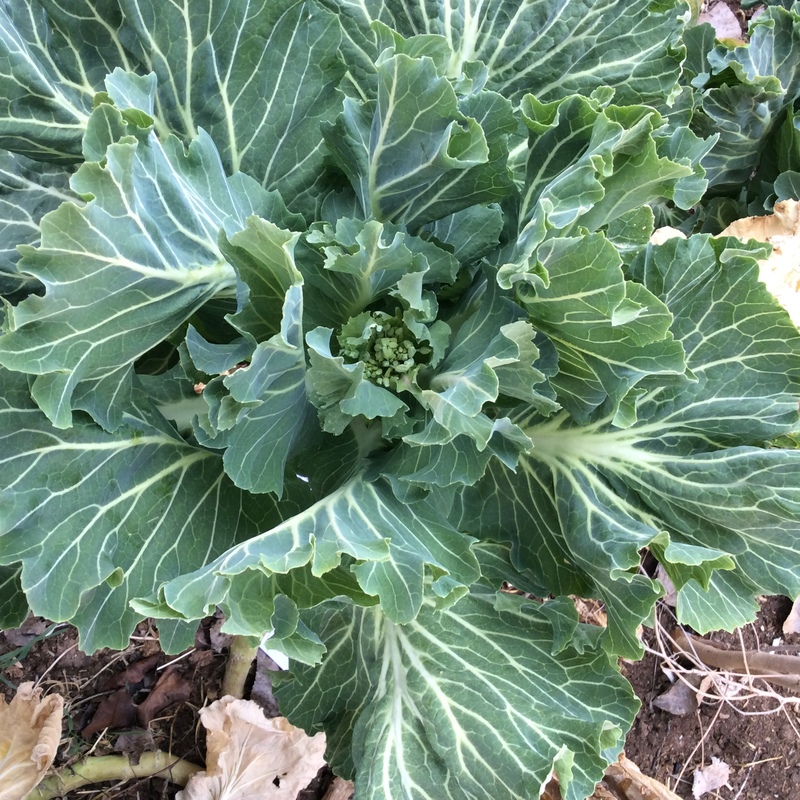 The upper 8 to 10 inches of the stalk, when treated this way, made a delicious vegetable with a crisp texture and a pronounced artichoke flavor. 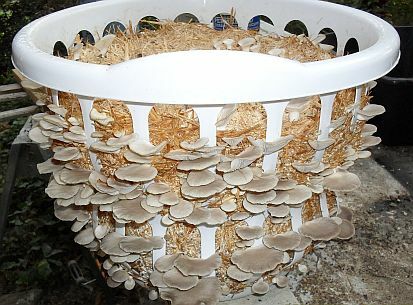 The other 2+ feet of the stock were not usable because, even when the outer tough skin is peeled away, fibers have developed in the pith itself. 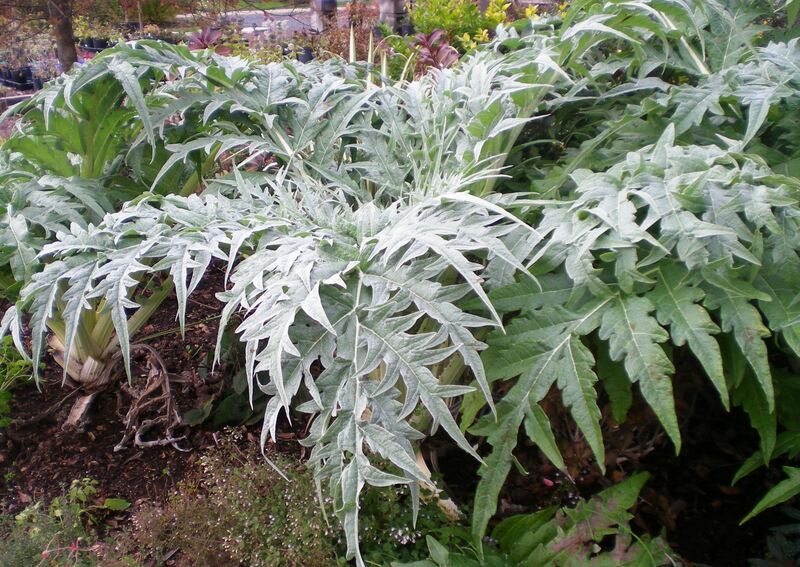 But if you have a lot of cardoons and can afford to pick several stalks, this makes one really delicious vegetable. 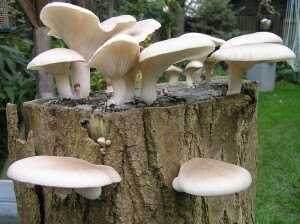 Otherwise treat the top of one stalk as a Cook’s Treat and cook it in your smallest skillet and eat it standing up in the kitchen, gloating quietly to yourself. 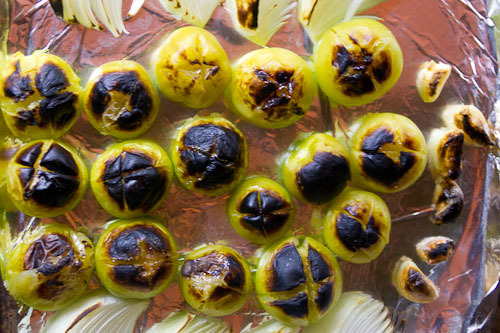 The flavor of tomatillos is one of the wonderful flavors of summer. This is their glory time, when the plants I have stuck into odd corners have tangled themselves throughout the rest of the bed and are making fruits, almost hidden, which are a fascinating mixture of sweet, tangy, and tart when roasted. Right now tomatillos are ripening in their husks and I can make one of my favorite salsas. 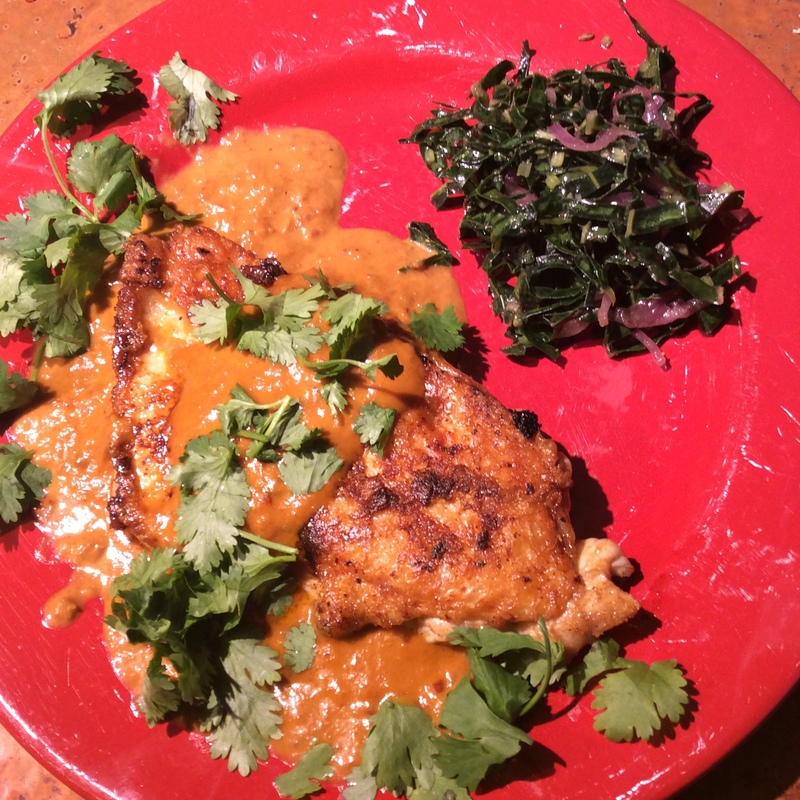 This is an old Rick Bayless recipe, modified only slightly, and couldn’t be easier or more full of flavor. Start with about 30 large tomatillos (mine were about 2 inches in diameter) or maybe 50 smaller ones. 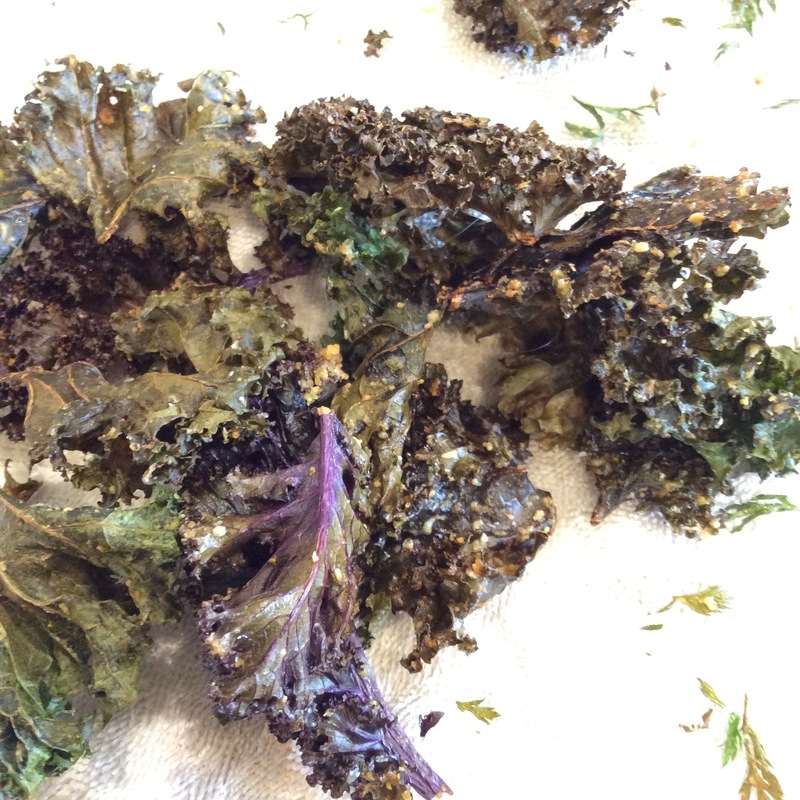 Remove husks, rinse, and set in a single layer on a baking tray covered with aluminum foil. Put five cloves of garlic on the baking sheet off to one side where they won’t burn, still in their skins. Broil under high heat until they look cooked on the top and have black spots, turn them over, and broil until that side is cooked. 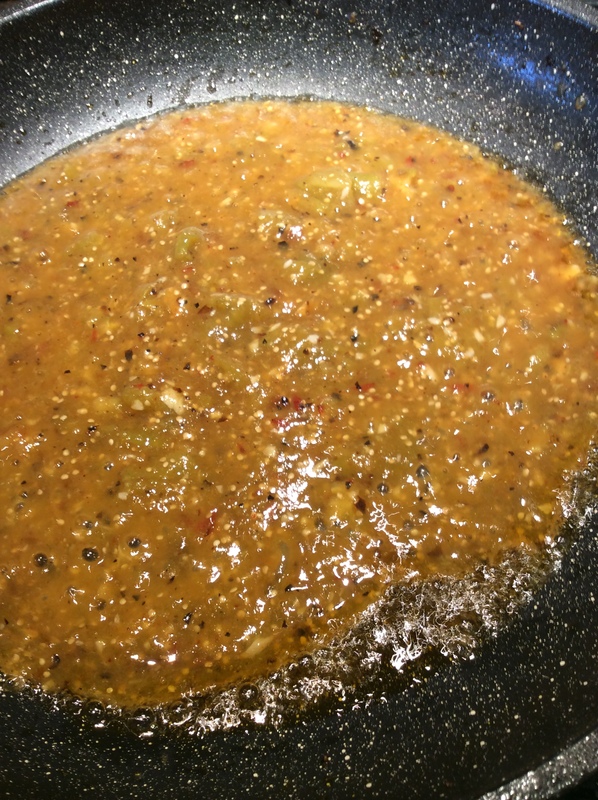 Cool a little, skin the garlic cloves, and put the tomatillos and their juices and the garlic in the food processor. Add at least two canned chilies chipotle in adobo and their associated juice, more if you like it hot. I like 4 large chipotles in this quantity of sauce. Grind to the degree that you prefer. I like a chunky texture. Now, I add the quintessentially Mexican step of frying the salsa. In my largest skillet I heat 2 tablespoons of chosen fat, in this case fat from my homemade bacon. When the fat is hot, pour in the pureed salsa. It should sizzle furiously. Fry it over high heat for a couple of minutes, until it has thickened to the degree that you want. Salt to taste, and it is ready to use. 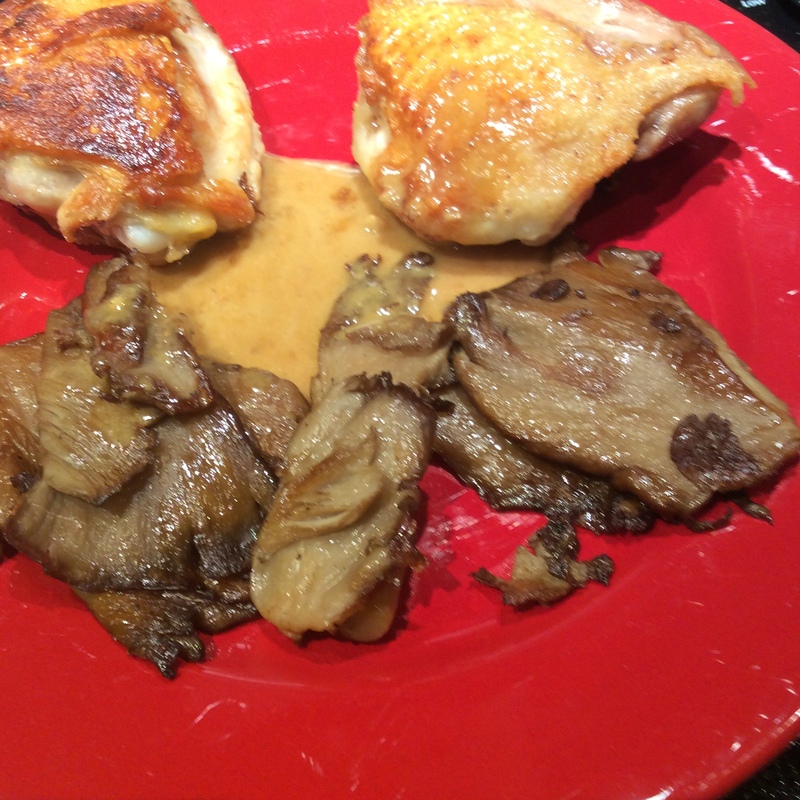 The frying step smooths and blends the flavors in a delicious way. It’s good hot on grilled or smoked meat, gratineed with cheese, room temp with chips, or any way you like to eat salsa. I especially like the tangy-smoky flavor on grilled vegetables or mixed into cooked greens just before serving, or on top of them with a good sprinkling of Cotija or queso fresco. 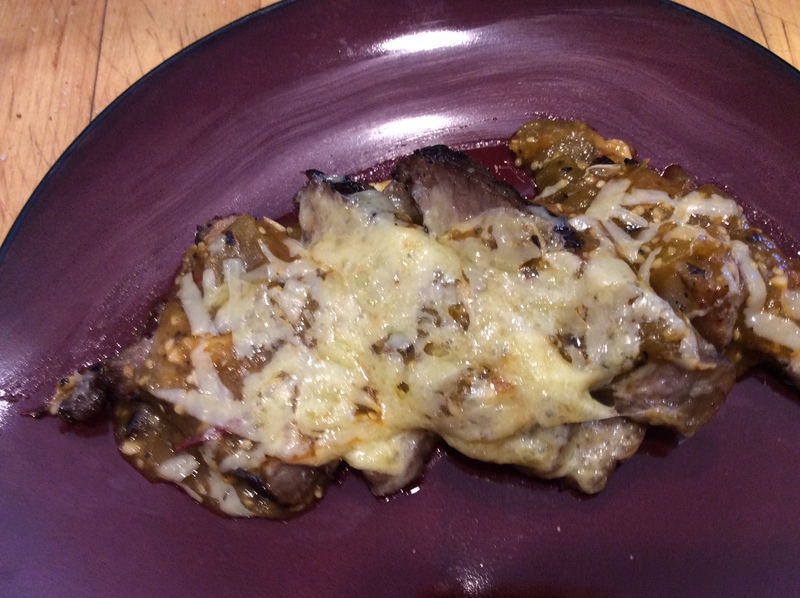 At the top of the page you see my lunch today, a little piece of leftover steak sliced and broiled with salsa and smoked cheddar on top, a fitting reward for the very minimal labor of making the salsa. Incidentally, in the past I have grown several different kinds of tomatillos including the small purple ones that are supposed to have a more pronounced flavor, and at least under my growing conditions they all tasted pretty much the same. The small ones are more tedious to pick and involve a great deal more labor in preparation per unit of finished salsa, and so I grow the biggest ones I can find.